Manufacturers are under constant pressure to optimize production and reduce costs while contending with changing regulatory guidelines. To effectively manage your finances and gain a competitive edge in the marketplace, you need real solutions from a CPA Firm you can trust. 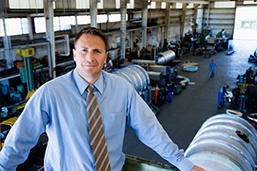 Jackson and Associates CPA, PA has extensive experience in the manufacturing industry so we understand how you do business and will supply the financial tools you need to be successful. Send us an e-mail or call us today at 727-544-1120 and ask for Debbie Jackson to discuss your manufacturing accounting needs with an experienced Largo CPA.